Lucius Aelius Aurelius Commodus ruled as co-emperor with his father Marcus Aurelius from 177 to 180, and as sole emperor from 180 to 192. Although he considered his twelve-year-reign a new “golden age,” his lack of concern for political matters, life of leisure, and extreme paranoia brought about a reign of terror. 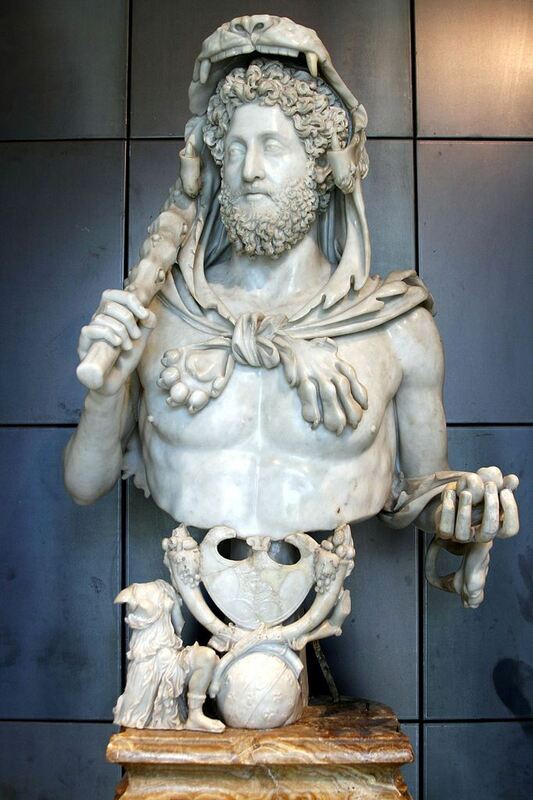 Commodus was extremely proud of his physical prowess. He thought of himself as the reincarnation of Hercules, frequently emulating the legendary hero's feats by appearing in the arena to fight a variety of wild animals. On 31 December 192, he was poisoned and then strangled - upon his death, the Senate declared him a public enemy.